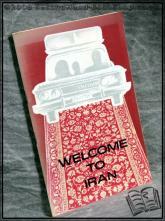 Welcome to Iran - ANON. Ministry of Information Iran, Undated , Paperback. Condition: Very Good. Wraps faded toward top edges otherwise a very well presented copy.